This post has been written in partnership with My Guide Marbella. We’re always on the lookout for new romantic spots for our future travels. 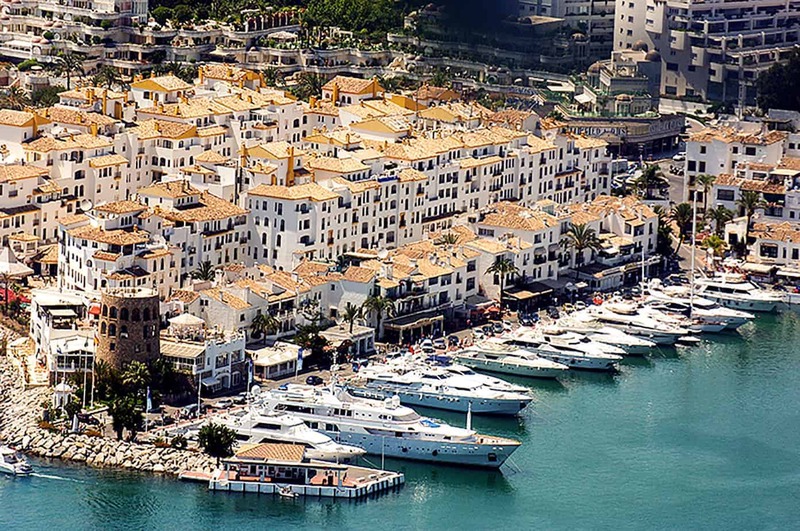 One Spanish town in particular is on our wish list: we want to plan a romantic getaway to Marbella. Located on the southern coast of the country, between Gibraltar and Malaga, this city is home to everything from beautiful beaches to exciting nightlife. Opportunities for romance abound in Marbella for couples. This would be an ideal honeymoon destination, or simply a place to retreat and relax. Come dream with us about the Costa del Sol…here is our list of romantic things to do in Marbella, Spain. There’s nothing so luxe as hanging out on your own private yacht. 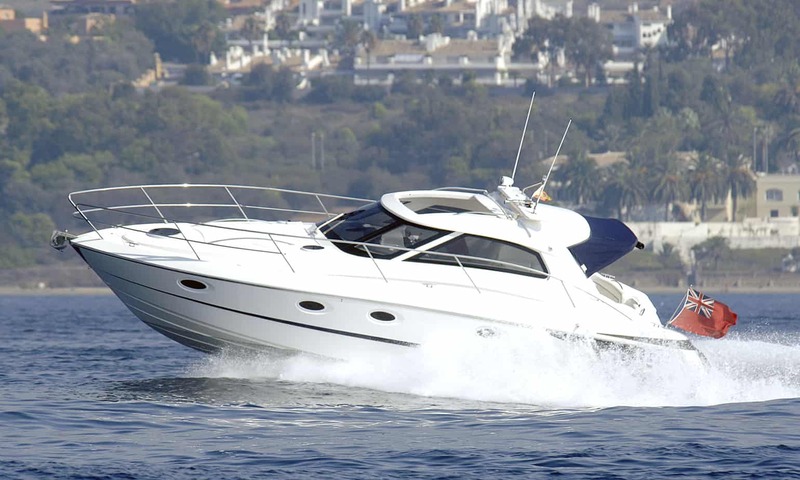 We’ve always wanted to explore by boat, and Marbella seems like the perfect place to charter a vessel. There are options for sailing boats, power boats, and catamarans, and the various yacht charter companies offer all kinds of luxury features and upgrades. We’re picturing watching the sunset over the water with a delicious cocktail in hand. Sigh…. For all your tanning and fun-in-the-sun needs, Marbella and the several kilometers of coast around it are home to numerous beaches. 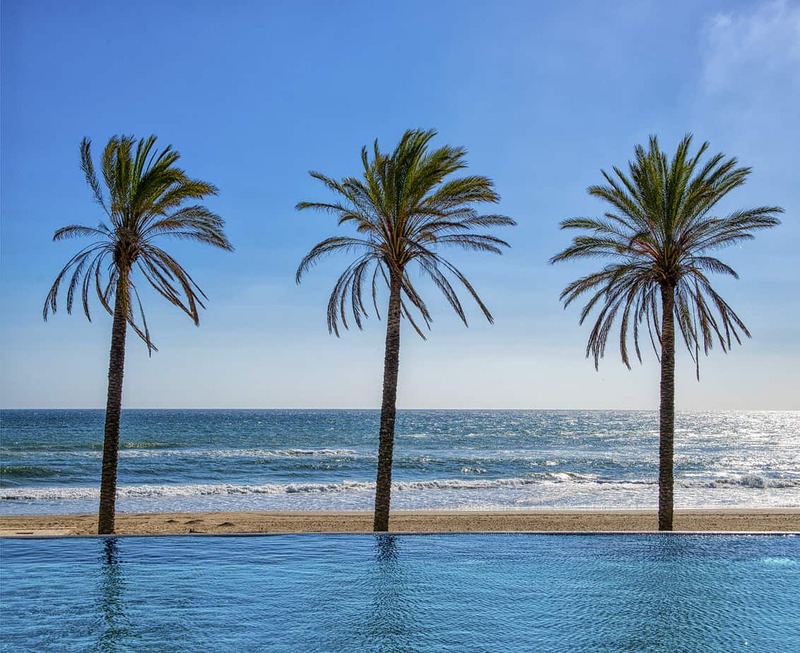 A beach holiday in Marbella is the perfect beach holiday, with beach bars known as chiringuitos serving beverages and Mediterranean delights like paella and fresh fish right on the sand. 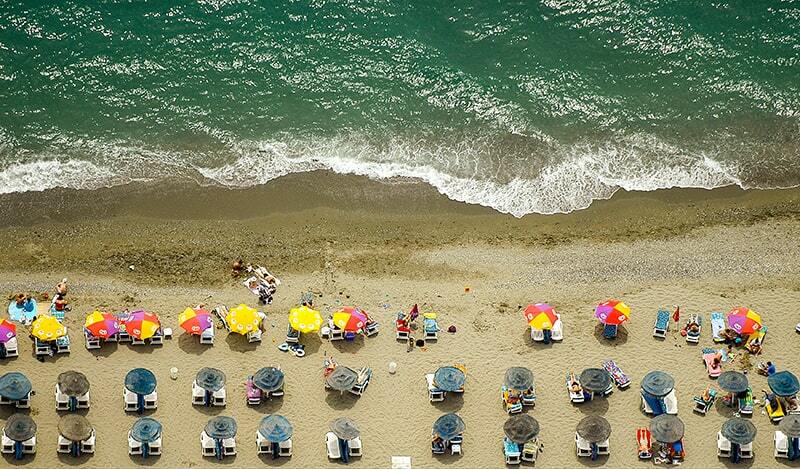 Which of the Marbella beaches will you visit? There are 23 stretched across the coast, so you’ve got plenty of options. Near the city centre are Playa Fontanilla and Bounty Beach, both popular sun spots, and they are only the beginning. Playa San Pedro a Alcantara is a good choice for taking a long walk together down the paseo. These are popular spots, but with a little hunting, you’re sure to find a secluded spot for two. A romantic holiday involves a lot of time spent just the two of you, but in the evenings, it’s time to get out and explore the thrills outside your hotel room! 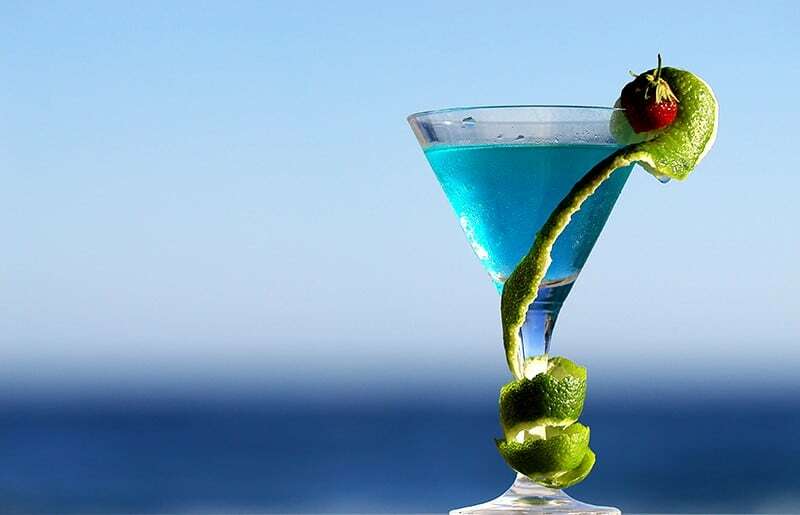 Marbella has a lot to offer in the way of nightlife. You can certainly go dancing at one of the many clubs, and Puerto Banus is a huge party spot, but be sure to make time to attend a traditional flamenco show, too. 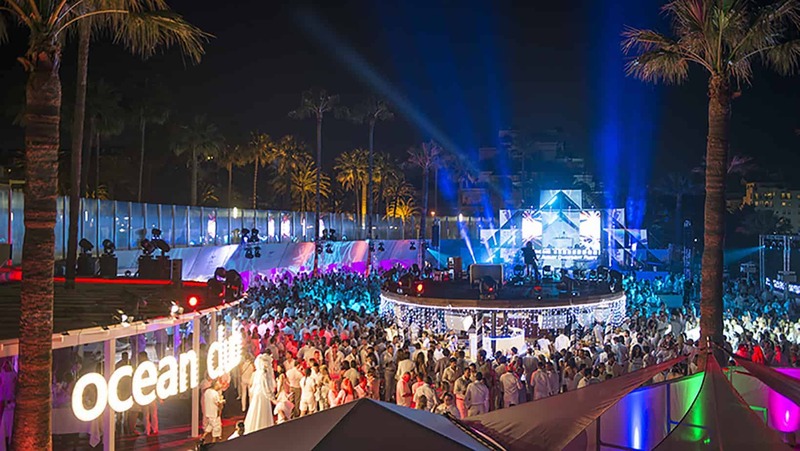 This is an essential cultural experience, and is reputed as one of the top activities in Marbella. Flamenco dancing is passionate and exciting and will have you stomping and clapping along. Take note, those thinking of a Marbella honeymoon! The city is full of one of the things that makes Spain so beloved: food! There are way too many restaurants to mention here, of course, though establishments like Paco Jimenez and Restaurante Messina come up again and again. Eating out is high on the list of Marbella things to do, and both of the restaurants mentioned above are located in or near the historic Marbella Old Town. Who’s stressed on a vacation in Marbella? No one! But you don’t need to be stressed to have an excuse for a spa day. We’ve found a few gorgeous places in our research where you can soak, steam, and swim, and enjoy beauty treatments, massages, and more. Getting pampered in such stunning places would be a dream. Oh my goodness, we want to feel like royalty and do exactly this! For a honeymoon in Marbella this would especially be a MUST DO. One of the coolest things to do near Marbella is to take a helicopter tour. Not only is riding in a helicopter seriously fun, you’ll see the Costa del Sol from an entirely new angle. The spectacular water and beaches look amazing from above, plus, this is a unique and special experience—exactly what a romantic trip deserves. One of the loveliest Marbella attractions is set away from the alluring beaches. You can’t leave Marbella without discovering its Old Town or Casco Antiguo. Old Town Marbella sounds like everything an old town should be: narrow streets, window sills bursting with blooms, and a feeling of the simple pleasures in life. Start in Plaza de los Naranjos (Orange Square) and explore from there. Strolling together around this charming Old Town is definitely a very romantic thing to do. After exploring, sit and enjoy some Andalucian wine in the square and watch the day go by. In the Malaga Port is a 70m high ferris wheel officially named the Noria Nirador Princess. This is a new addition to the region and may only be around for a limited time, so don’t miss it. On a clear, sunny day, you can see distances as far as 30km. There’s definitely something romantic about witnessing beautiful sites with your partner. 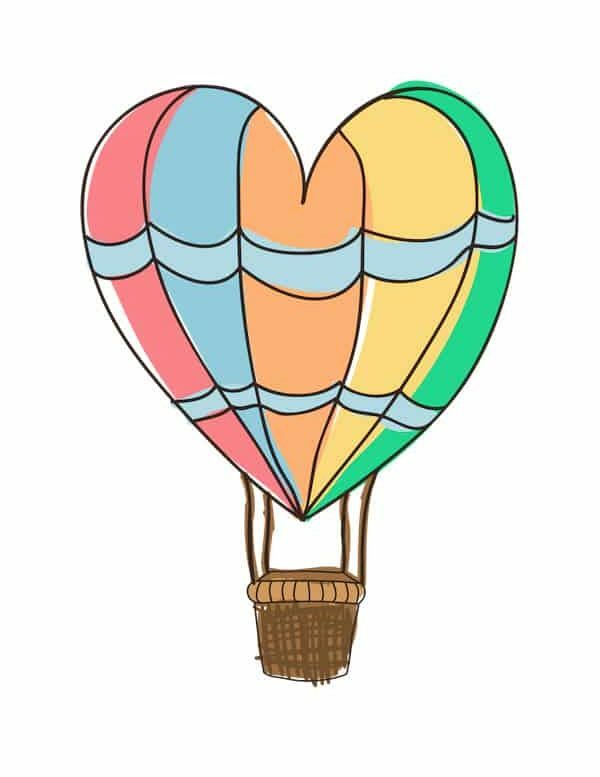 Climb on board and share a kiss. (This is also an affordable choice for Marbella things to do: the ticket price is currently just €10). Any traveling couple knows that choosing the right hotel can mean everything. On a romantic trip, you’ll definitely be spending some time together in your hotel room, so the more beautiful, comfortable, and luxurious, the better. And on a honeymoon, it’s essential that your room be incredible. As you plan where to go in Marbella and what to do, don’t forget to choose a fabulous accommodation. Check out some lovely Marbella accommodation options here. Now that you know what to see in Marbella, it’s time to get planning. And as for us, we may or may not currently be researching flights to Marbella, Spain. I think we’re pretty convinced it looks like a truly romantic destination. So maybe we’ll see you there! Wanna save this post for later? Pin to your fave Pinterest board! I love Marbs. I was honestly dreading it thinking it would be all The Only Way is Essex (reality TV programme) but it really is beautiful. Would like to try to the ‘copter ride in future! Malaga was also lovely.